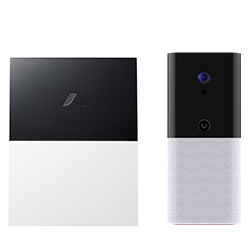 abode has been recognized as a Best Home Security System of 2019 by U.S. News & World Report’s 360 Reviews team for abode's Essentials Starter Kit and iota. WASHINGTON D.C., UNITED STATES, March 18, 2019 /EINPresswire.com/ — Washington DC – March 18, 2019 – abode has been recognized as a Best Home Security System of 2019 by U.S. News & World Report’s 360 Reviews team. U.S. News’ new guide features in-depth information on choosing a home security system and covers a range of options, from cost and features to length-of-contract and size of the network. U.S. News evaluated specific home security categories based on consumer needs, including the Best Professionally Installed Systems, the Best Do-It-Yourself (DIY) Systems and the Best Home Security Systems with Cameras. U.S. News’ 360 Reviews team applied an unbiased methodology that includes a nationwide consumer survey, opinions from independent security experts and third-party reviews. 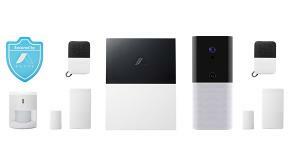 Founded in 2014 by former ADT executive Christopher Carney, abode was designed to be the most flexible and comprehensive all-in-one DIY smart security solution. With a vision of providing ease, simplicity and choice, abode combines a no-contract home security platform with comprehensive smart home functionality. Customers can choose on-demand short-term monitoring with no contract or commitment and abode offers out-of-the-box support for virtually any smart home device on the market including Nest, Amazon Echo, the Google Assistant, ZigBee and Z-Wave. This powerful platform is delivered in a simple user interface, giving customers an intuitive and easily customizable experience from setup to everyday use. Your home, your abode.